At Judge Yachts we understand what goes into a successful cruising vessel. A combination of comfort, seakeeping and luxury helps ensure years of enjoyment wherever you go. 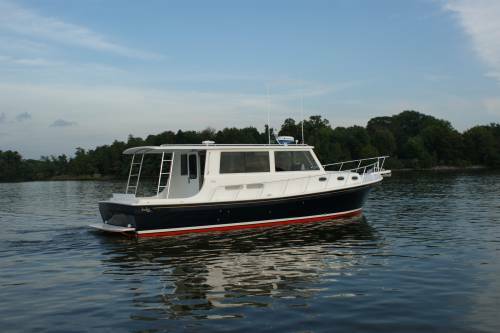 With classic downeast style, signature Judge ride and beautifully appointed interiors, these boats are as comfortable offshore as they are docked at the club. And as with all Judge Yachts, our custom desgin/build process ensures that the boat is perfectly tailored to its owners needs and lifestyle. Climb aboard and point the bow wherever your dreams take you.